In the human body, the burning of fat and producing of energy cannot occur without carnitine. 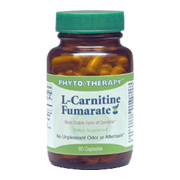 Carnitine transports long chain fatty acids into the mitochondria of your cells where they are burned for energy. Deficiencies in carnitine can affect the transport process, resulting in low energy levels, muscular weakness, and possible weight gain. L Carnitine - is shipped in a discrete, unmarked package. Orders are processed immediately and usually take about 3 to 5 working days to be received. We do ask that you try it for 2 to 3 weeks to feel the full effects. Any information received is used only for order processing and shipping purposes. Your information, such as e-mail address, will never be disclosed to a third party.